Russian lawmakers having access to confidential information may be recommended no to use iPhones in their work and to switch to simple mobile phones using them only for phone calls. MOSCOW, December 2. /TASS/. 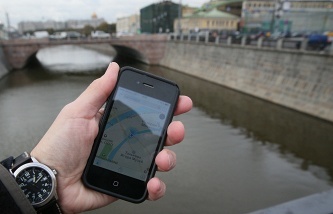 Lawmakers from Russia’s parliamentary lower house may be advised not to use iPhones over concerns that communications gadgets made abroad may not be secure. Instead, they would be urged to use the most basic mobile telephones. New law is being drafted to be submitted to Russia’s parliament in coming days, Dmitry Gorovtsov, a State Duma deputy from the Just Russia political party, told TASS on Tuesday.